El Dorado, The Caribbean’s Best Rum is Back with The Best Party in Sport! PRESS RELEASE: The Caribbean Premier League T20 is on, bringing fans all of the excitement, energy and thrills that the biggest party in sport has come to be known for. And, adding to that enthusiasm and enjoyment once again is Peter & Company Distribution (PCD) with the award winning and highly decorated El Dorado Rum. 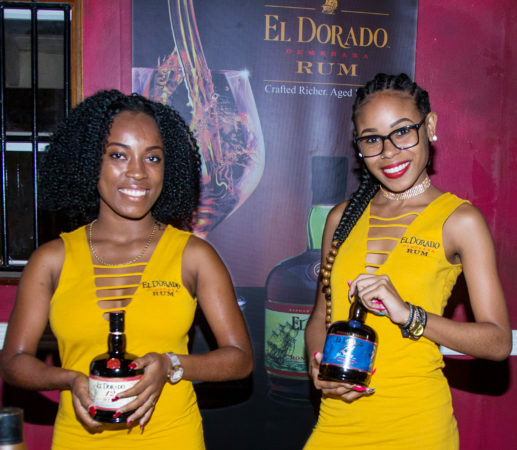 El Dorado Rum, which has been voted the World’s Best Rum at the International Wine & Spirit Awards for four consecutive years – and won it on seven occasions in total, has partnered with the CPL since inception in 2013. This year El Dorado is back and through its local distributor PCD, will continue to be on the cutting edge with enticing promotions around the CPL T20. The brand will be highlighted throughout the CPL T20’s promotion and marketing of this year’s tournament across the Caribbean (including Saint Lucia), on match days. El Dorado will be executing a range of fan promotions aimed at extending the celebration to fans around the Caribbean. According to brand manager Germaine Serieux, fans and consumers have already witnessed the unveiling of a distinct and innovative promotion by the brand here in Saint Lucia. “The El Dorado promotion which is dubbed “Happiest Fan Alive” will be celebrated with the media, players and specially invited guests, during a special event at Kebees in Rodney Bay on Wednesday August 22, 2018,” Serieux disclosed. “The promotion I guarantee will be consumer centric and it will be something that our customers who have acquired a taste for this fine rum will want to engage in,” Serieux says. The 6th edition of Caribbean Premier League (CPL) runs August 8th to September 16 2018. Home games featuring the Saint Lucia Stars will be held at the Darren Sammy Stadium in Beausejour, Gros Islet, August 16, 17, 24, 25 and 30. For El Dorado Rum, the deal which has been sealed for a partnership with the CPL T20, that runs through to 2022 establishes its place in the heart of what it means to be West Indian. Enjoyed by players and fans alike, the El Dorado brand is synonymous with the biggest party in sport and Caribbean lifestyles, capturing the excitement of the CPL T20 both on and off the field.